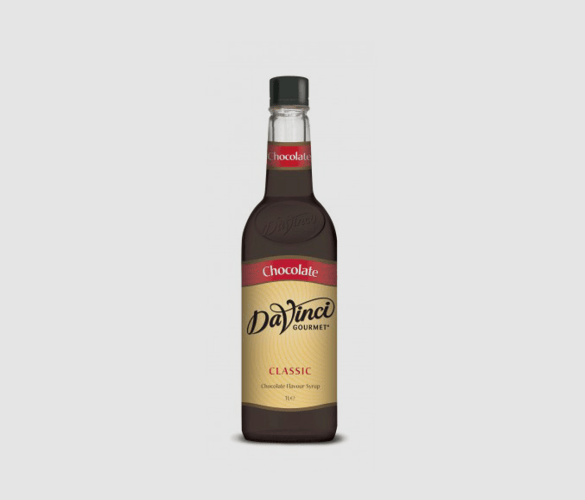 This DaVinci gourmet chocolate syrup is rich and luxurious. This product adds a delicious flavour to any hot or cold beverage and is truly irresistible. A perfect balance of sweet and rich, it is a must for any coffee menu! Expand your options with this hugely popular syrup. This product will add a true chocolate taste, without being over sweet. Perfect for those who want to be adventurous with their beverage but are afraid of an overpowering sweet taste. Enjoy hot or cold, this will help your menu stand out from the crowd. With a little creativity, this product can be used so many different ways. Made from pure cane sugar and the highest quality ingredients, this DaVinci product is a premium option to add to your menu. Another great benefit of this product is its ease of use. It has been specially formulated to mix quickly and easily into hot or cold drinks. Also, it has qualities which allows it to resist curdling. A mocha is a combination of our two favourite things, chocolate and coffee! You may have enjoyed this beverage in your favourite café, but not many people know how easy it is to recreate at home… especially with the help of this handy syrup. This easy recipe is from All Recipes and is a must try. Heat your milk in a pan until it is a little frothy, be careful not to boil. Add your espresso and chocolate syrup into a mug and mix together. Pour in your milk, top with whipped cream and enjoy! At Adams and Russell, we offer a fantastic range of syrups and sauces that will bring a delicious taste to your beverages and recipes. If you are looking for something a little more adventurous, the Mint Chocolate Syrup is a refreshing take on the classic flavour. Other than syrups, we also offer white chocolate and milk chocolate sauces to drizzle over beverages, desserts and many more recipes.